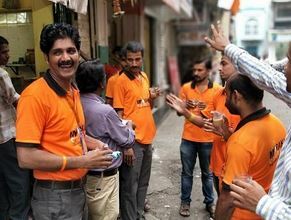 MUMBAI, INDIA — The world’s largest online retailer, Amazon, has announced the launch of a so-called ‘Silent Delivery Station’ in Mumbai, India, managed almost entirely by Deaf employees. In collaboration with Mirakle Couriers, Amazon says the move is designed to empower and support diverse communities in the country by creating job opportunities. Prior to the full launch of the dedicated silent delivery station, Amazon India conducted a pilot program with four hard-of-hearing associates at one of the company’s existing delivery stations in the country. Individuals at the new Silent Delivery Station will deliver packages within a radius of two to three kilometers. Safety and customer service training is being conducted by the team at Mirakle Couriers using sign language. Currently, Amazon has more than 350 service partner stations across the country. The company is expected to continue investing in the country, as it continues to see rapid expansion in the world’s second most-populous nation.